Come out for this year’s community bike rides! 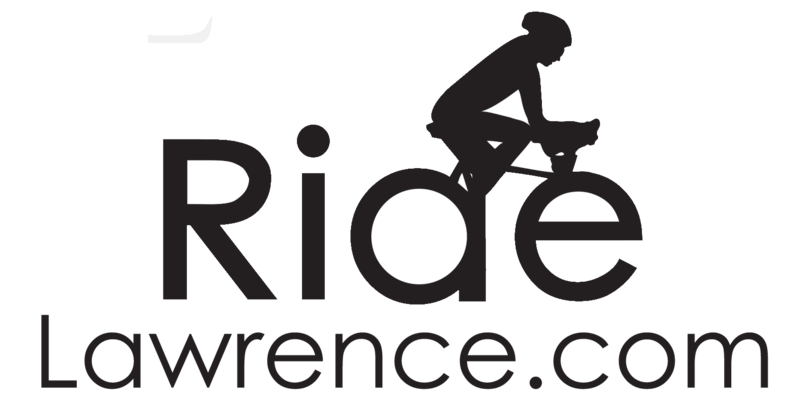 June 8, 2017 / / Comments Off on Come out for this year’s community bike rides! 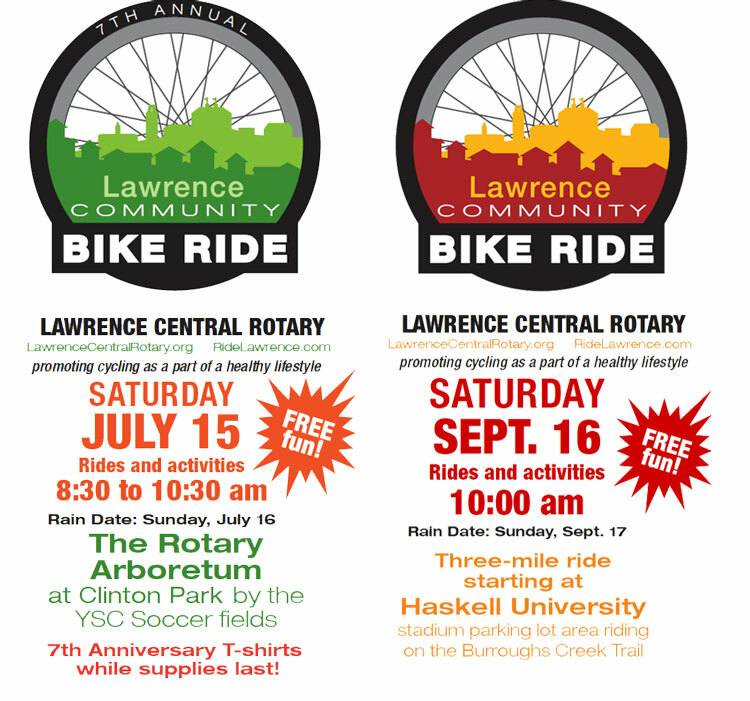 For the seventh year, Lawrence Central Rotary and Ride Lawrence along with some amazing local sponsors are hosting two community bike rides. One in July and another in September. The best part, they are both FREE! 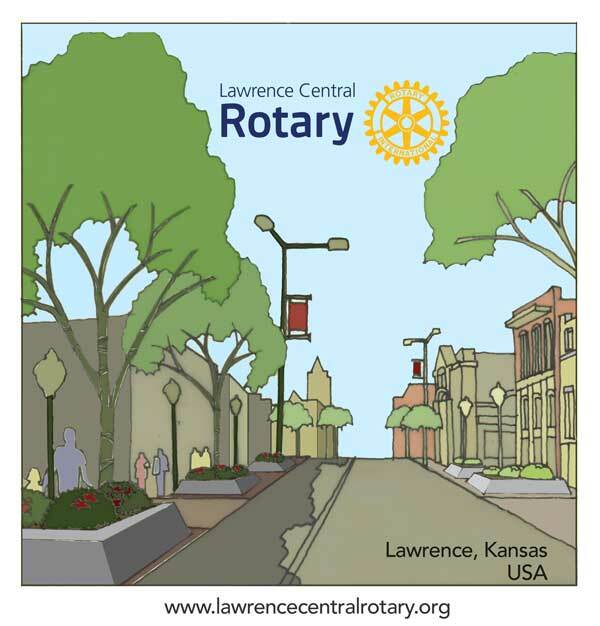 The summer Community Bike Ride will be held July 15th at the Rotary Arboretum starting at 8:30 to beat the summer heat. There'll be rides and activities for everyone ranging from a 1-mile easy loop around the Arboretum and Training wheel take-off workshop for smaller kiddos who are ready to start rolling on two wheels. There's a three-mile family ride out to the Clinton Lake overlook and back. Lastly, there is the 10-mile ride up to I-70 and back. Helmets Fittings and Safety vests to participants (while supplies last). Kid's Zone with inflatables to burn off that extra energy. Sunflower Bike will have a maintenance and bike check stand set up. The Merc will have a great array of healthy snacks. The Fall ride will be held September 16th starting at the Haskell University stadium parking lot and riding on the Burroughs Creek Trail. A Training Wheel Takeoff Clinic. Experts will help children who are ready to take off their training wheels in a safe environment. Bike Helmet Fitting and Giveaway. Safe Kids with LMH will help outfit kids with helmets, while supplies last, along with providing cycling safety tips for kids of all ages – and for adults too! Inflatable Bounce House and Slides for the kids! All of this family-friendly wonderfulness is made possible by the sponsors below.